Tribute artist Ted Vigil presents A John Denver Christmas on Friday, December 16 at 7:30 pm in the ICC Performing Arts Center in East Peoria. Tickets cost $30 for the general public and $20 for students. Tickets are available at ArtsAtICC.com or (309) 694-5136. Tribute artist Ted Vigil brings a holiday-themed performance based on a beloved music icon to the ICC Performing Arts Center, located on the East Peoria Campus, on December 16 at 7:30 pm. A John Denver Christmas features Vigil, along with backing musicians as they present a mix of traditional holiday songs, holiday music recorded by Denver, and several of Denver’s classic songs in a 90-minute performance. Vigil started out singing rock and pop music, but his career took a slightly different turn in 2006 when he entered a talent contest. When he arrived at the competition, he was told he could also enter in the country music category. After two days, he was bumped out of the rock and pop category, but he held a spot in the Top 20 of the country category. After numerous people approached him with the same question during the weeklong contest, Vigil said he decided to try singing a John Denver song. His performance advanced him into the Top 5 in the competition, and he decided to perform Denver’s classic Rocky Mountain High in the finals. Vigil said he thinks the quality of Denver’s music keeps it alive and being passed on to new generations. Although Denver died in 1997, Vigil’s shows continue to draw large audiences, which led him to an upcoming international tour, which includes a stop in Australia. Wildlife Prairie Park will be the highlighted community partner for the event. The community partner program, a part of the ICC Guest Artists Series, highlights a non-profit or community organization which has ties to the Guest Artists Series performance. Patrons at the event who donate to support Wildlife Prairie Park will be entered in a drawing for two free tickets to a future event. Patrons also will have the opportunity to provide input about future Guest Artists Series shows. As it does for all ICC Guest Artists Series events, CityLink provides Park and Ride service from Peoria for the performance. Buses leave Evergreen Square near the former LensCrafters building at 6:45 pm and transport passengers directly to the ICC Performing Arts Center. Buses return to Evergreen Square immediately after the show. Cost for a one-way ride is $1. Senior citizens 65 years of age and older with verification can ride for 50 cents one way. The performance is presented by the Arts at ICC. The Arts at ICC has a rich history of enhancing the arts community and expanding education beyond the classroom. Arts at ICC presents more than 500 exhibits, performances, lectures, rehearsals, meetings, master classes, clinics, seminars, receptions, orientations, forums, auditions and tournaments annually. 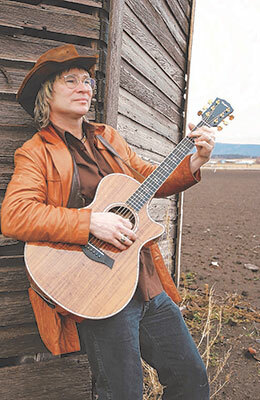 Tickets for A John Denver Christmas cost $30 and $20 for students. Tickets can be purchased at ArtsAtICC.com or the ICC Performing Arts Center Box Office. For more information or to purchase by phone, call (309) 694-5136.